We understand how important your teeth are to your health, your appearance and your self-confidence. In our practice there are no one-size-fits-all solutions; our team of dental professionals will spend time with you, finding out what matters to you and customising treatments to meet your individual needs. We take the time to explain each treatment option and how it could benefit you, because we want you to have all the information you need to understand and to take control of your dental health. We are dedicated to providing healthy, aesthetic smiles and we focus on improving the quality, function, and appearance of your teeth, providing you with long-lasting results. We strive to meet every patient’s needs by offering a variety of general and advanced dental treatments and we will listen to your aims and desires. We are a warm and friendly team and will ensure that you are comfortable, pain free and safe. Financial plans, special appointments and treatment options are individually customised for you. It is important to us that you can enjoy a positive experience during every visit to our clinic. We know some people are anxious or nervous when visiting a dentist but please talk to us if you feel this way as we can help. You will find we are very friendly and approachable and will do everything we can to ensure your visit is pleasant. Dr Ian Collins grew up in Yarraville and graduated from the University of Melbourne with Honours in Dentistry in 1982. 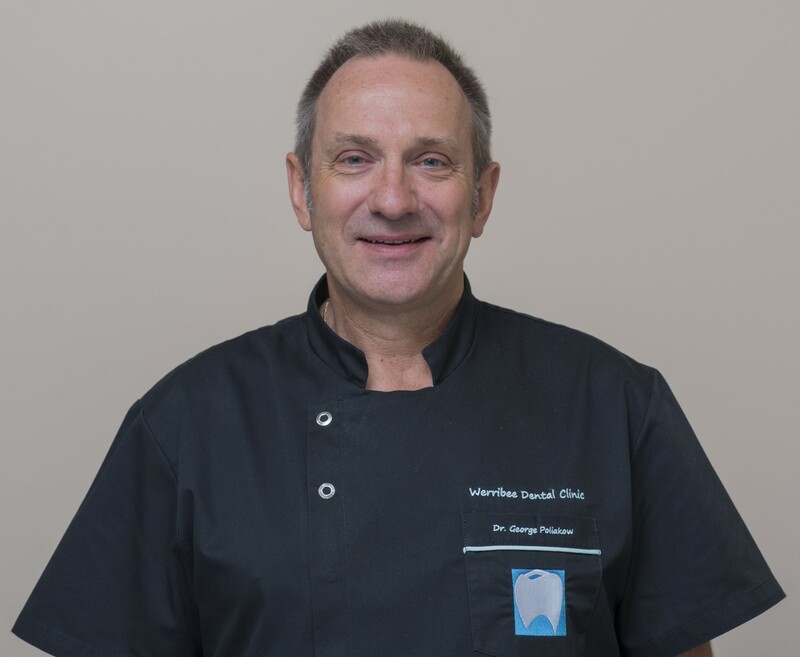 He has been practising at Werribee Dental since 1986 and is a co-owner of the clinic. Dr Collins is very committed to continuing education and has undertaken additional training in orthodontics and Invisalign. He is a member of numerous professional associations including the Australian Dental Association and the International Association for Orthodontics. One of the things Dr Collins particularly enjoys about his career is being able to meet and care for so many people over many years and he finds the joy an improved smile can bring to his patients extremely rewarding. Dr Collins has a wealth of experience in all aspects of dental health, and is passionate about helping all his patients achieve optimal oral health and aesthetics. Outside of dentistry, Dr Collins loves spending time with his family who are very important to him. He is a keen cyclist and also enjoys skiing, tennis, and music. Dr Herling Mendoza grew up in Colombia, qualifying as a dentist in 1998 from El Bosque University. He has lived in Australia since 2000. In 2006, Herling completed a Master of Public Health at Wollongong University. 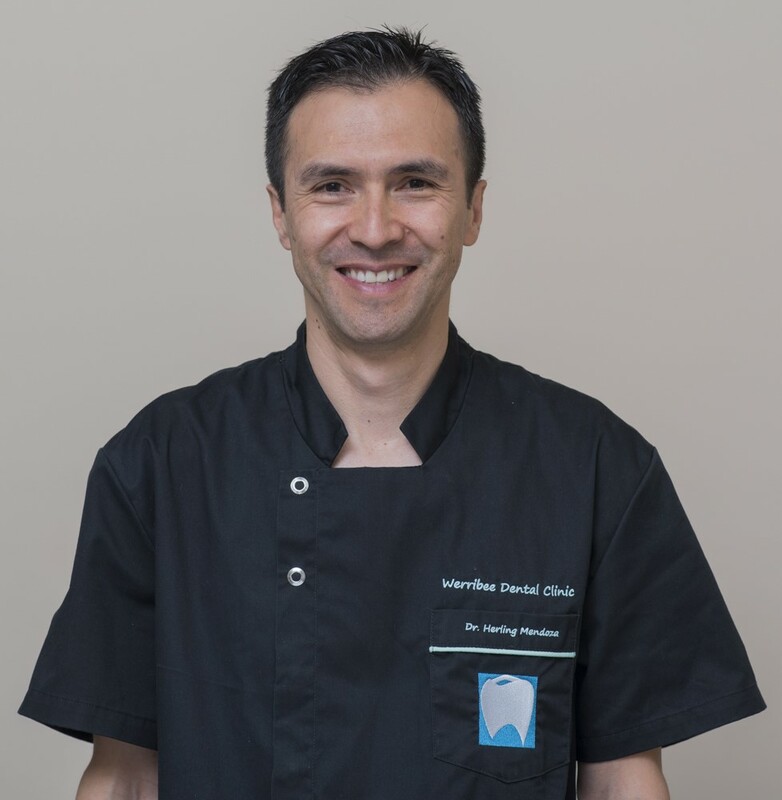 He worked in other dental practices around Werribee and Melton before joining Werribee Dental Clinic in March 2015 as a co-owner of the practice. Dr Mendoza is a very experienced dentist who is passionate about providing high quality dental care and committed towards educating his patients on preventive dentistry. Dr Mendoza strongly believes that dentistry can be provided in a relaxed and gentle manner. Herling will listen to your particular issues, concerns and needs and chat with you about the more suitable treatment options. Herling will make you feel listened, respected and in control of anything that occurs during your visit. Herling is continually updating and expanding his knowledge through continuing education and is an active member of the Australian Dental Association. Outside of dentistry, Herling loves to spend time with his wife and young daughters. He particularly enjoys playing soccer and watching sports. He has lived locally since 2011 and likes being part of such a friendly community. Dr Pauline Durham grew up in Sunshine, Victoria and graduated from the University of Melbourne with a Bachelor of Dentistry in 1977. 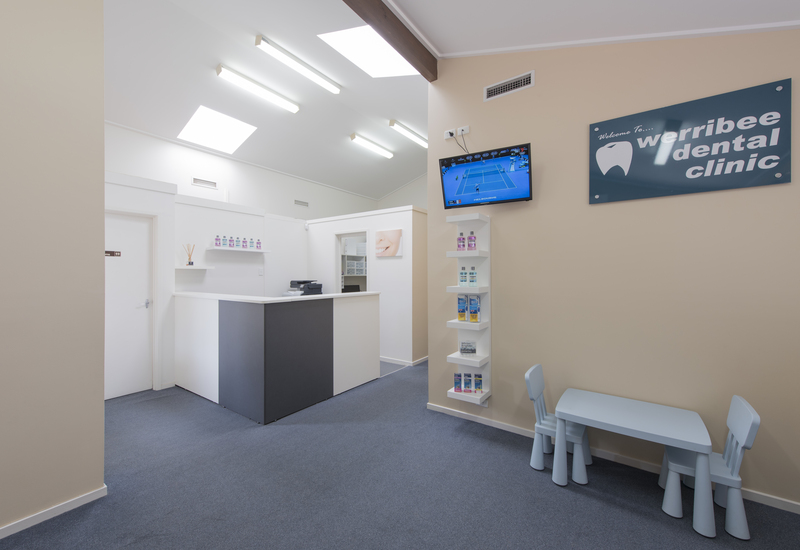 She has spent most of her Dental career working in Werribee. Pauline views patient education and prevention of dental disease as being particularly important, as well as the effect of oral health on general health. She has seen vast changes in dentistry over her years, is committed to continuing education and enjoys all aspects of this exciting profession. One of Pauline’s favourite things is to listen and learn from her patients and colleagues. You will find her extremely gentle and easy to chat to about any of your dental concerns. Outside of dentistry Dr Durham is very happily married and has two daughters. Being a parent has been the most challenging and enjoyable part of her life. She enjoys running and has completed a number of half marathons. Her other interests include camping holidays, reading and enjoying the company of her friends and family. Dr Poliakow graduated from the University of Melbourne(honours) in 1982. Following graduation, George spent the first 5 years practicing in rural Victoria. 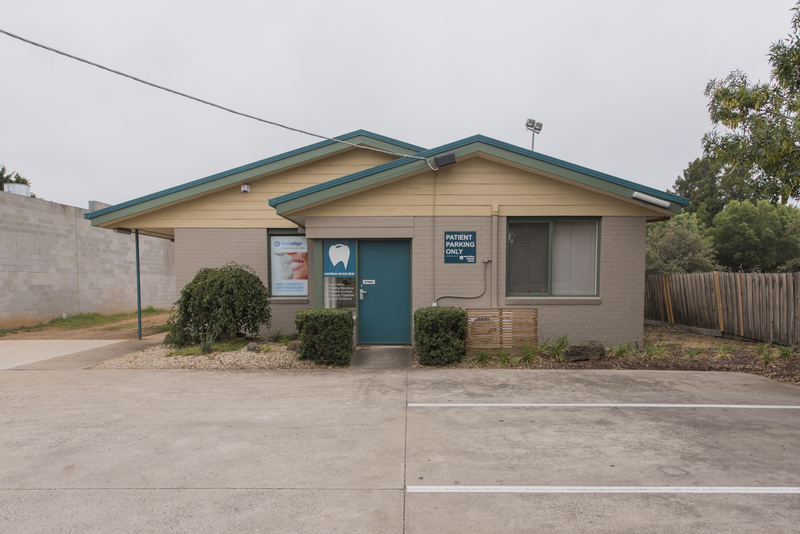 For the next 27 years George maintained a highly successful dental surgery in Keysborough. Recently George has committed to joining our practice on a part time basis. Outside of work he enjoys fishing, scuba diving, 4WD-ing and, as recently as June 2013, completed running his first marathon. 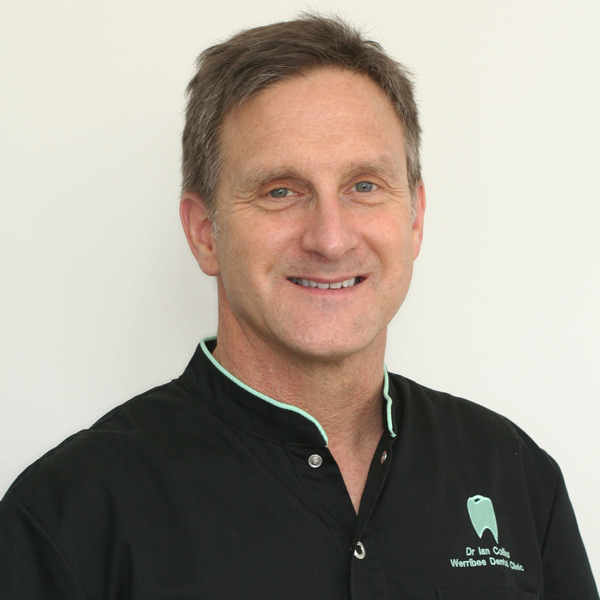 George brings with him a compassionate manner and wealth of experience in all aspects of dental and patient care. 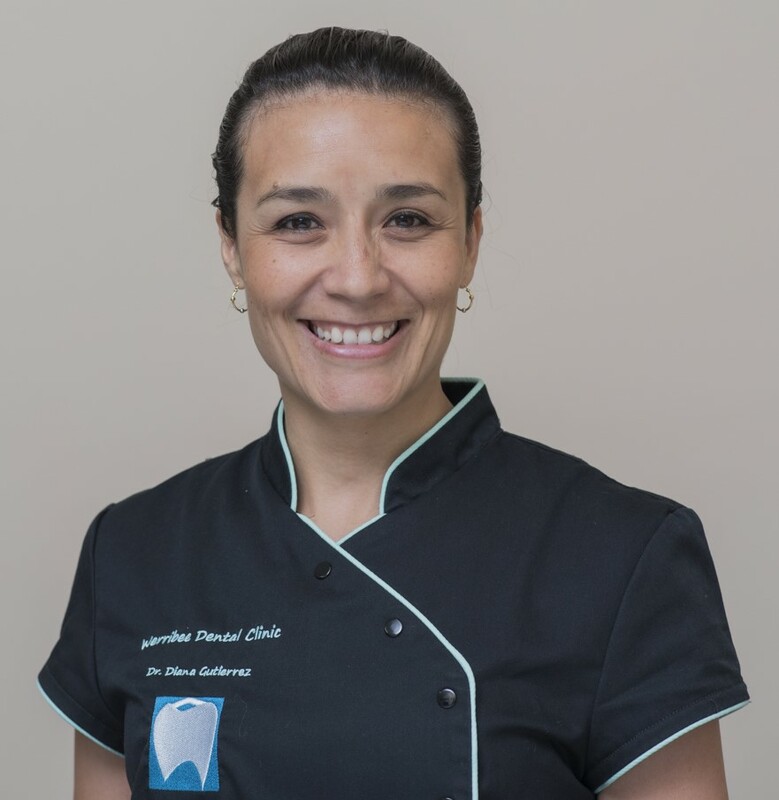 Dr Diana Gutierrez grew up in Bogota, Colombia and graduated from El Bosque University in 1998. In 2006, Diana graduated from the University of Wollongong with a Master of Public Health. 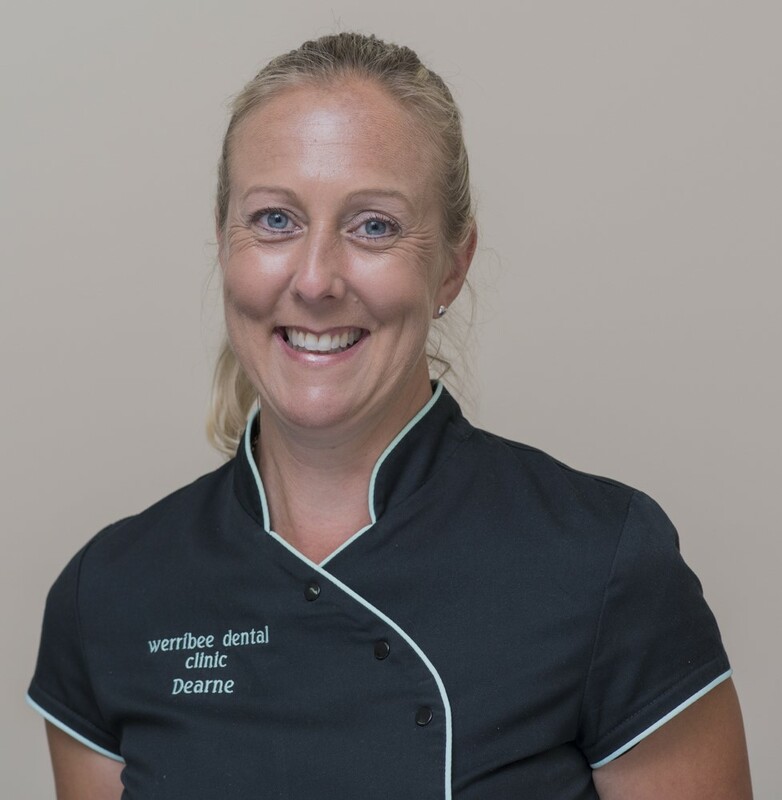 She has lived locally since 2011 and joined Werribee Dental Clinic in 2015 as a co-owner of the clinic. Although Diana enjoys providing oral care to all ages, she particularly likes treating children and is able to help calm even the most nervous or anxious child. She also finds it very rewarding when she is able to change a person’s life through creating a healthy and beautiful smile. Dr Diana is the mother of two small girls and loves spending time with her family outside of dentistry. Dr Gutierrez also enjoys sports and music, as well as travel, and she loves to read whenever she gets a moment. Diana loves being part of the community here in Werribee. Louisa has her Certificate III in Dental Assisting as well as her Certificate IV in Health Administration. She grew up in Werribee and has lived locally all her life. 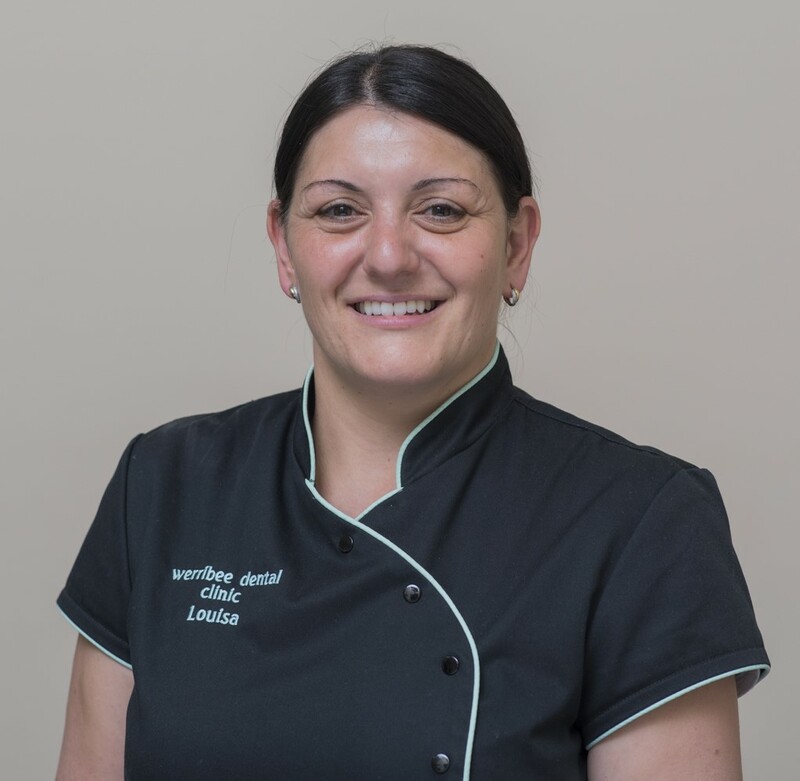 Louisa loves her job as she likes helping people with their dental needs and particularly enjoys making them feel relaxed in the dental chair. You will find Louisa likes to chat about just about any subject and please just ask if you would like some help improving your oral health. Her hobbies include sports and music. 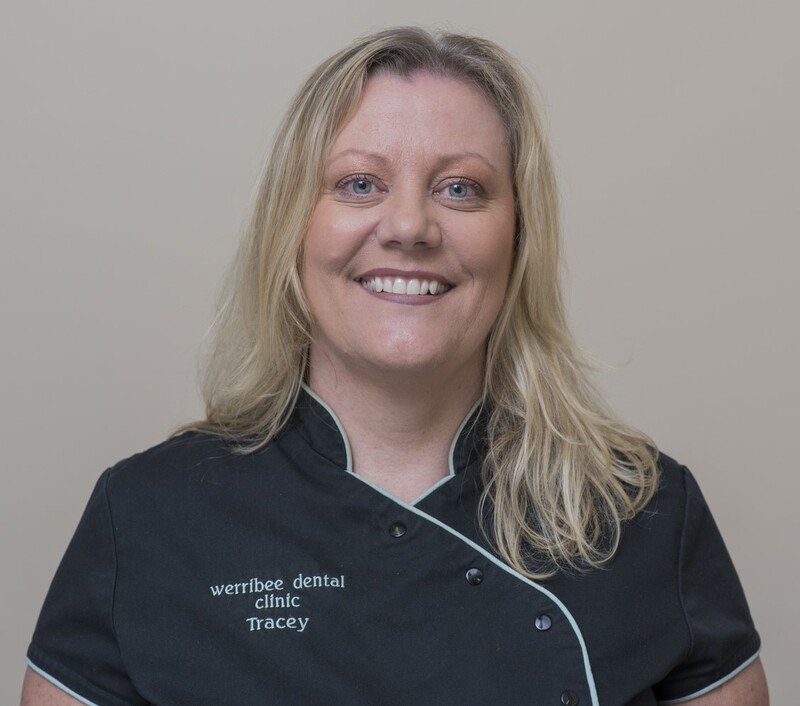 Tracey grew up in Ballarat, Victoria and has a Certificate III in Dental Assisting and a Certificate IV in Health Administration. Tracey has had extensive Dental Nursing experience both in Australia and overseas, in a variety of surgeries including Private Practice, Community Health and School Dental. You will find Tracey is an extremely caring person and she particularly loves seeing someone leave with a healthy smile. Tracey strongly believes that health and happiness go together and she is always keen to help patients improve their oral health through dental education. Outside of dentistry, Tracey likes spending time with her family and she enjoys sports and socializing with friends. Carmela grew up in Altona Meadows. She graduated in 1991 with a Certificate III in Dental Assisting. 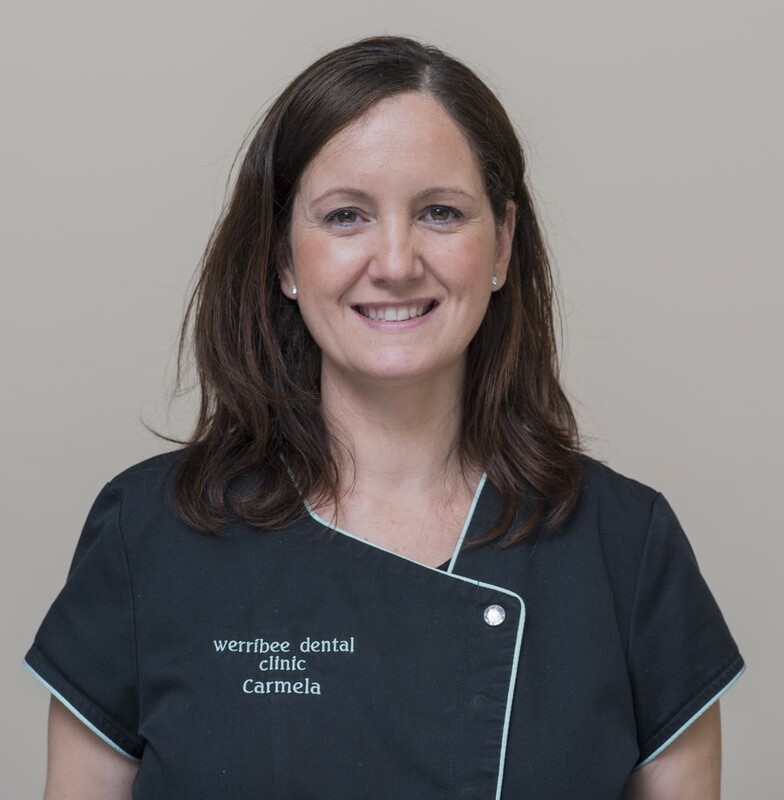 Carmela has been part of the Werribee Dental Clinic for the past 20 years. Carmela lives in Point Cook since 2007. She is particularly involved with her children’s schools and in teaching children about oral health in both mainstream and special needs settings. Carmela takes particular interest in reassuring patients and making them feel comfortable in the dental surgery. She also likes to keep up to date with infection control procedures when it comes to the dental practice. She likes to talk about family and travel, as well as general health. Dearne grew up in Victoria and obtained her Certificate III in Dental Assisting in 1990 before moving here in 1996. She originally began her dental assistant career in 1988 having worked at an orthodontic practice after undergoing orthodontic treatment as a child. Dearne is a mum of one and has been actively involved with volunteering at the local football club for the past ten years. 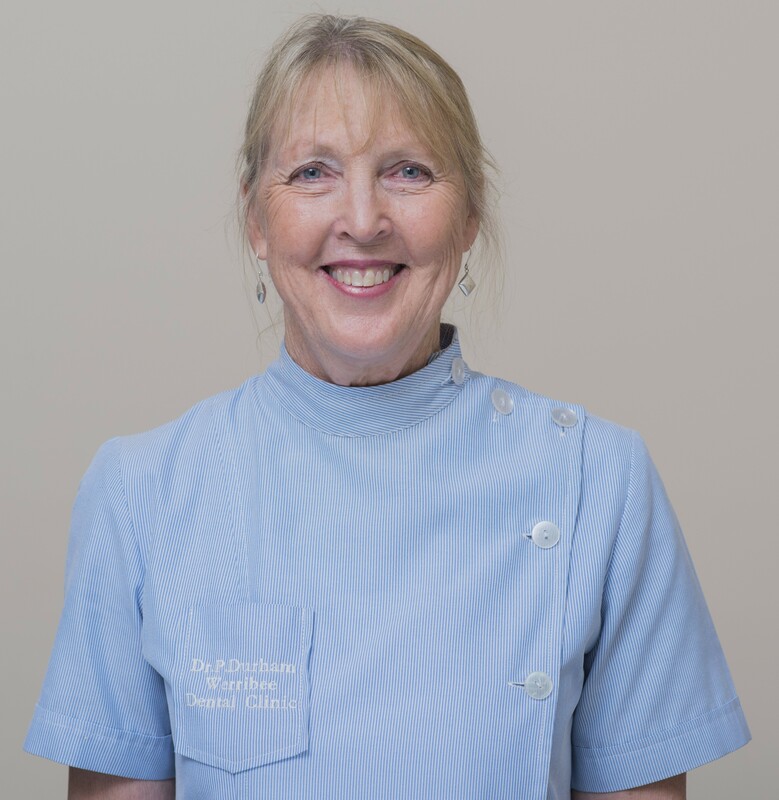 When you come to see Dearne at our dental practice, you will find she is excellent at helping you feel comfortable and at ease. Jess grew up in Hoppers Crossing and has worked with us since 2004. She has a Certificate III in Dental Assisting, a Certificate IV in the Dental Radiography & Oral Health Promotion and a Certificate IV in Health Administration. You will find Jess is extremely caring and easy to chat to and she is always willing to help patients improve their dental health through education. A busy mum of one, Jess likes to travel whenever she gets the opportunity and also enjoys sports and music and curling up with a good book. 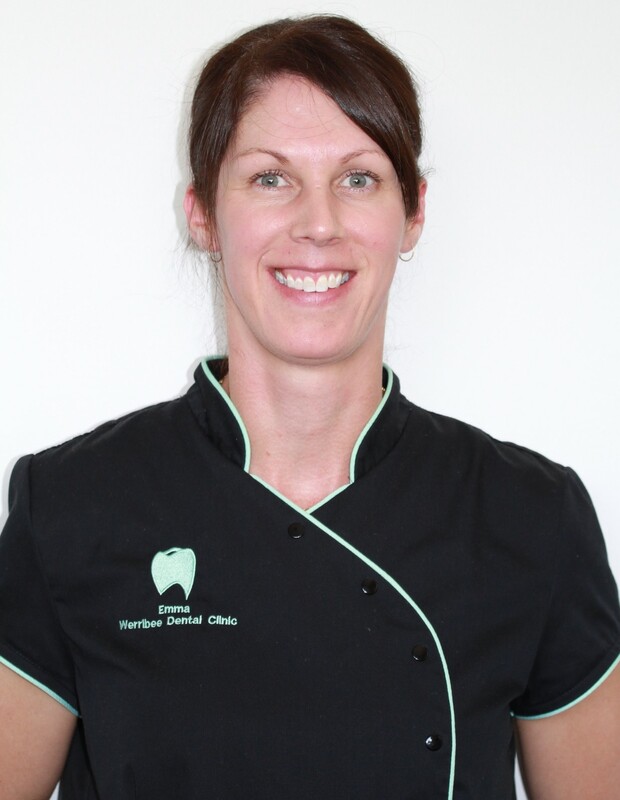 Emma grew up in Werribee and began working at Werribee Dental Clinic in 1998. She has a Certificate III in Dental Assisting and is a passionate dental nurse who loves educating parents about the importance of healthy diets for their children. 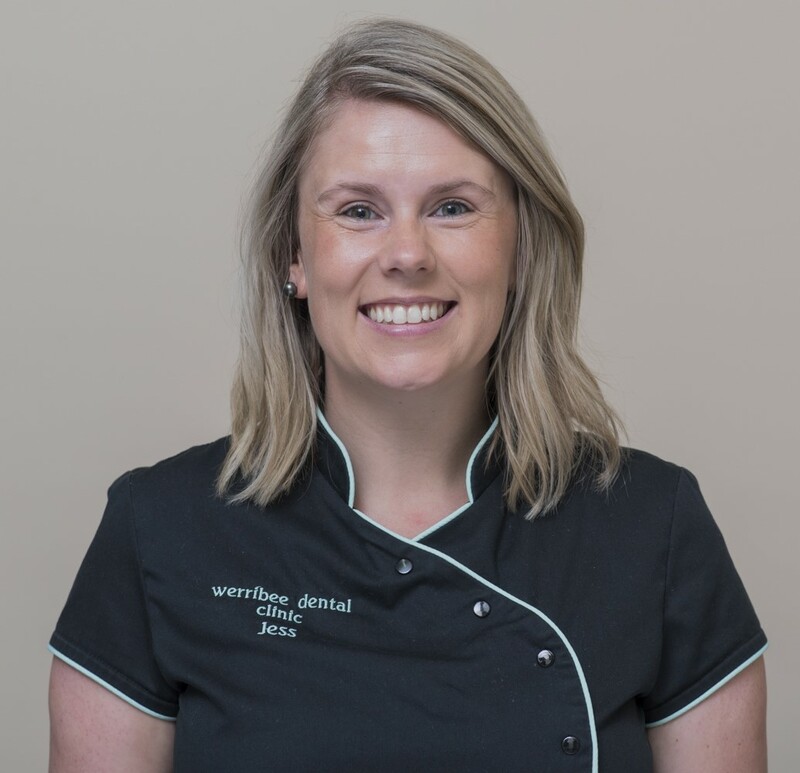 You will find Emma to be a lovely and approachable person who is keen to answer any questions you may have regarding dental health. Emma is also a devoted mum of two beautiful children and is thoroughly enjoying work after her youngest has begun school. Emma interests included spending time with her family, catching up with friends and going to the beach.